The visionary behind the hit-making British house team M People is Mike Pickering (b. March 1958; Manchester), a respected DJ who played in Quando Quango, booked several early shows by the Smiths, and signed Happy Mondays and James to Factory Records while working A&R during the mid-’80s. Pickering later moved from Factory to the dance label Deconstruction, where he signed acts in addition to recording material with his own band, T-Coy. 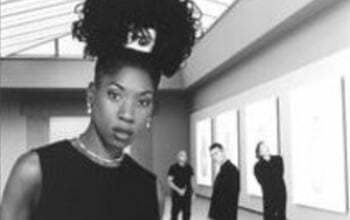 He formed M People in 1990 with Heather Small (b. Jan. 20, 1965; London) and former Orange Juice member Paul Heard (b. Oct. 5, 1960; London). Northern Soul The group signed to DeConstruction in 1991, and released the single ”Colour My Life” that May. Second single ”How Can I Love You More,” propelled by Small’s deep soul vocals, became a U.K. hit and spawned the 1992 album Northern Soul.